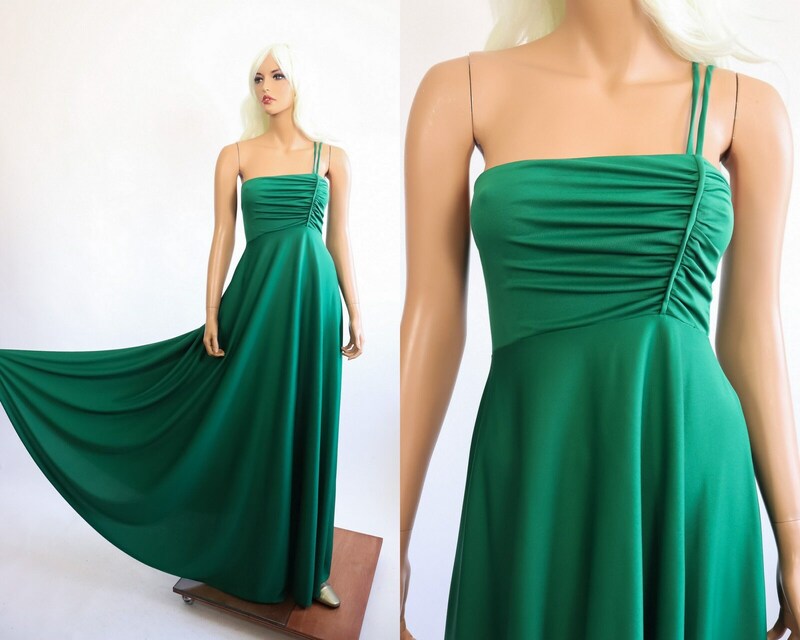 Amazing vintage gown! Features a ruched bodice with a unique diagonal strap. I don't think I've ever run into this style! It's so good! The strap can be worn different ways. Comes in grass green and is made with a soft smooth fabric. Has an empire waist and a full sweeping skirt. By Sylvia Ann. Gorgeous! Condition notes: A few seam breaks at the waist. A few white marks on the skirt. This is shown in the last photo. Color differs a little bit in real life.